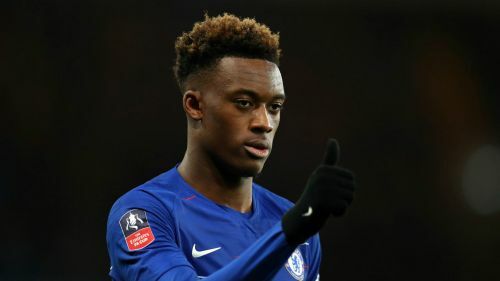 Karl-Heinz Rummenigge has confirmed Bayern Munich still want to sign Callum Hudson-Odoi from Chelsea. Bayern's pursuit of the teenager saw the Premier League side reject a series of bids during the January transfer window as sporting director Hasan Salihamidzic failed to complete a deal. Maurizio Sarri said the Blues board assured him Hudson-Odoi would not be sold in January and criticised Bayern's approach for the attacker. But Bayern's executive board chairman Rummenigge indicated Hudson-Odoi will again be a top target for the Bundesliga champions when the window re-opens. "I guess Hasan is a bit like [Bayern president] Uli [Hoeness]," Rummenigge told Goal and Spox. Bayern are expected to lose veteran wingers Arjen Robben and Franck Ribery at the end of the season. But with Alphonso Davies already on board and Benjamin Pavard set to join from Stuttgart for 2019-20, Rummenigge feels Bayern are in position to continue their Bundesliga dominance. "I am not worried about Bayern's future. We already have a good team which fights for the championship and we also will be fighting for it next year," Rummenigge added. "We've already done the first rebuilding phase by integrating young players like [Joshua] Kimmich, [Serge] Gnabry or [Kingsley] Coman. They are doing well this season. Phase two will follow in summer and then we'll see if we need a third phase." "We don't want to chase Dortmund but we want to offer an exciting fight for the title," he said. "This is the most emotional title race in years and I have big respect for Borussia Dortmund. "They are six points ahead and are stable but we'll try to win our games and then see if we still can make it to the top."